Feng Gaihong is laughing with her 2-year-old son in their one-room apartment tucked away on a narrow street in a busy migrant neighbourhood in Daxing district, south of Beijing. Feng bends to help her son count the mah-jong tiles he has pulled from his backpack and scattered on the floor by the bed. He’s a strong counter for a 2-year-old. No surprise, given Feng’s training as a teacher. In 2010, she left her two children, now 7 and 12, behind with their grandparents and travelled 700 kilometres from Henan province to Beijing after her husband joined the army of construction workers who have built Beijing into a sprawling megacity of 21 million people. But like so many migrant parents seduced by the promise of lucrative jobs and a brighter future for their kids, Feng has been forced to confront a bewildering irony for her youngest, born in Beijing. His academic future is brighter if he returns to her home province. Feng Gaihong lives in Daxing district, Beijing, with her two-year-old son. She remains separated from her two older daughters who live and attend school in Henan province. Children born of migrant parents are excluded from Beijing public schools because of policies that are intended to control the city’s spectacular growth, which until recently has been driven by workers from China’s less-developed interior. 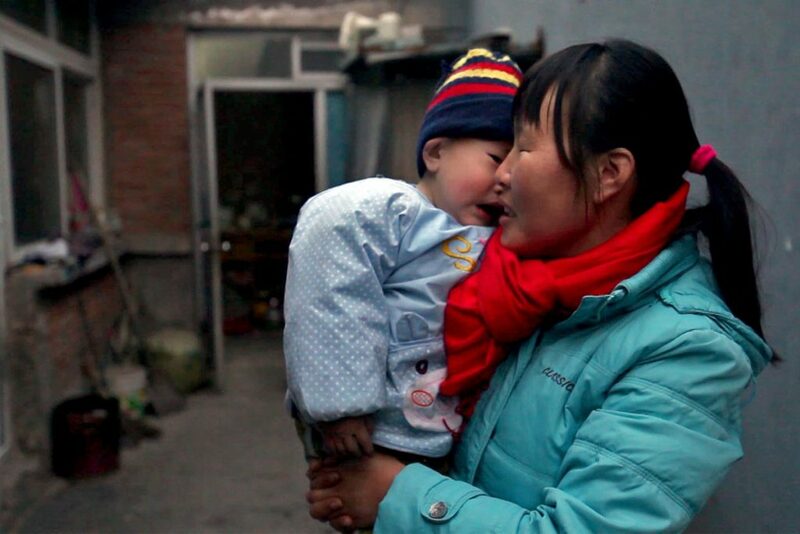 The policies have torn apart families like Feng’s. Her 7-year-old and 12-year-old daughters are a 12-hour bus ride away. “I would explain to them that I can make more money in Beijing so I can afford their expenses to allow them to go to school,” she says. But it’s a tough lesson to teach. The barriers to education faced by migrant children are rooted in the hukou system. Since the 1950s, the household registration system has been one of the most important mechanisms that determines a person’s social status in China’s cities. The little red ID book dictates residential status, which in turn determines access to social services such as health care and public education, and is explicitly linked to home regions. Since hukou is hereditary, even migrant children born in Beijing remain tied to social services in their parents’ hometowns. With the hukou’s many problems, the government has introduced reforms to the system, such as offering a residence permit that’s linked to some of these social services. 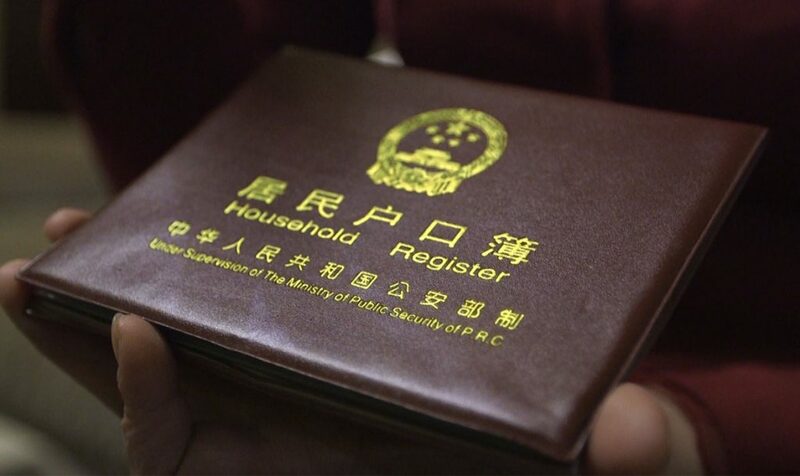 The hukou, or household registration system, links Chinese citizens to their hometowns. This identification entitles residents to city resources, such as healthcare and public education. Chu Zhaohui, research fellow at the National Institute of Education Sciences, traces the current problem to 2014. That’s when Beijing launched the “Five Documents System,” which Chu says keeps 30 per cent of migrant students out of Beijing’s public schools. The system requires parents to submit at least five documents, such as proof of residence and employment. If they cannot meet the requirements, some parents send their children back to their home region, or send them to unlicensed migrant schools, which are effective dead ends. 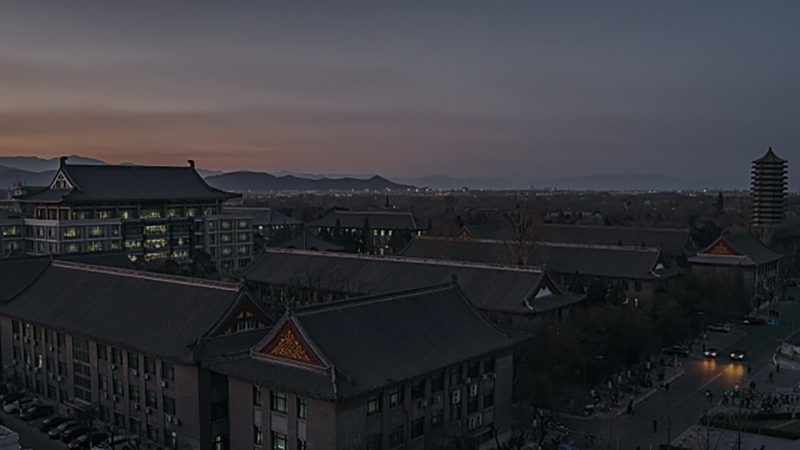 In 2014, the city’s education commission took over student enrolment, and China’s central government implemented a national study permit system, which stores and maintains every student’s registration information. The system is intended to create efficiencies and remove barriers for children whose migrant parents often had to pay arbitrary “fees” to enrol their children in public schools, according to Chu. Many migrant parents are unaware of the regulations, while others struggle to meet them. It can be especially hard for migrant workers to prove they’re employed. A 2009 survey found that less than half of migrant workers signed labour contracts. Another blow followed — again in 2014 — when Beijing authorities implemented a policy excluding migrant kids from applying to Beijing universities. It meant a child of migrants born in Beijing has to leave the capital to pursue post-secondary education. This policy gave rise to the “migratory birds” phenomenon: children and teenagers of migrant parents flocking to the adjacent province of Hebei, where the rules are far more accepting of non-hukou holders. Students at Bo Zhi Migrant School read out passages in their classroom before the sun rises. In 2014, nine parents whose children were ineligible for Beijing’s college entrance exam took the Beijing Municipal Commission of Education to court, claiming the city’s education policy is unconstitutional for excluding migrant children from public education. They lost but continue to lobby the government, and they are not the only ones taking the extraordinary step of suing the city. In October 2016, Huang Jiaming sued the same administrative body because his daughter was prevented from attending secondary vocational school. She had been rejected because Huang was unable to present the necessary five documents. He argued that the requirement violates China’s constitution. “It didn’t take a lawyer to understand it’s against the law,” says Huang, who represented himself in court. His daughter had obtained a study permit, allowing her to make it as far as middle school in Beijing. But Huang is unable to transfer her study permit to Henan so she is prevented from attending any public high school, putting her in a double bind. And because he doesn’t have social insurance, he can’t satisfy the requirements of the Five Documents System. Chu Zhaohui says migrant students like Huang’s daughter often fall into a “grey area” and slip through the cracks. “Their hometown may keep their hukou but not their record of study, so when they go back home to study, they won’t have their study permit in their hometown as well. This is the problem that is happening,” says Chu. In late December, Huang’s case was dismissed, but he has filed an appeal. “I didn’t put much hope in the [first trial]. The real hope I have is to take the case to the People’s Court.” This court is the equivalent of the Supreme Court of Canada, and could force Beijing to address the discrimination. “I would do anything for my kid, just to get her education, to demand the legal right for her,” says Huang. 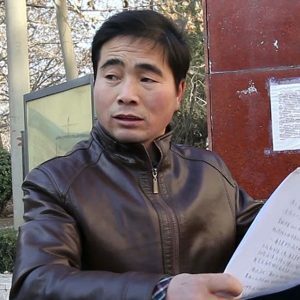 Zhang Qianfan, professor of constitutional and administrative law at Peking University, agrees that the Beijing government is violating the law, which mandates that every child is entitled to public education. “Their parents pay taxes, (migrant children) study together, a lot of the time their grades are better than Beijing classmates . . . 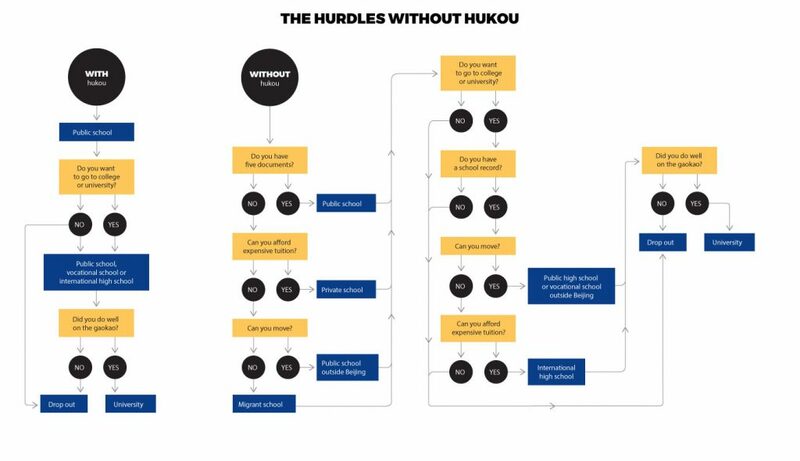 In every aspect they are the same except this seemingly irrelevant” hukou. Much of the issue comes down to China’s challenge with migrants — the government needs cheap labour to fuel its heavily industrialized economy, but until very recently, the number of migrants has put an unsustainable strain on the capital. “They make contributions to the city, therefore they think their kids have the right to enrol in a Beijing public school. But for the Beijing government, the first problem is overpopulation,” says Chu Zhaohui. Since the early 1980s, China has opened up its markets and expanded its private sector economy, creating jobs for peasant workers in megacities like Beijing, Shanghai and Guangzhou. Migrants began to fill menial positions that local residents avoided even when unemployed. Between 1960 and 1970, the capital’s temporary population never exceeded 130,000. The eight million rural migrant workers in Beijing today make up roughly 40 per cent of the city’s population. On March 17, 2016, the central government issued the latest Five Year Plan, intended to expand the country’s urban footprint by encouraging people to move to urban centres. But as China pushes for urbanization, the government is fighting to curb the population of its megacities. Kam Wing Chan, a geography professor at the University of Washington and leading expert on hukou, says Beijing is imposing severe restrictions on migrants, preventing them from obtaining residence permits. “The major issues are really the opening of the cities to other migrants. They are not making it easier. They are making it more difficult and this is why it’s creating a major issue — left-behind children,” says Chan. Last August, Beijing revealed another points system. Migrants are now graded by their contributions to the city, education and age. Failure to obtain sufficient points means permanent residency will be denied and they will be encouraged to relocate to the suburbs. The rules attempt to manage the city’s population and attract skilled workers. The most valued qualifications are awards in national-level competition, entrepreneurship and post-secondary education. Even for people like Feng Gaihong, with some education, these points are all but unattainable. The same goes for Huang Jiaming.